Haha look at that resemblance 😉 You’re having fun and we’re laughing with you, my friend! This was like a lookalike contest! 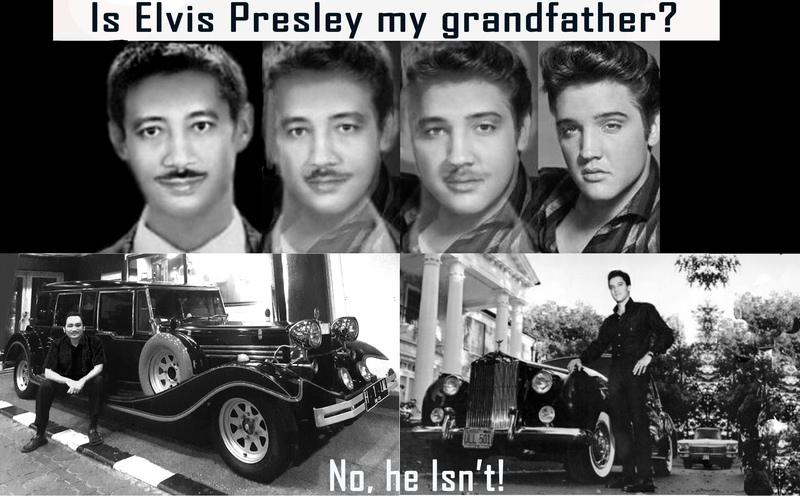 😀 Your Grandfather was handsome and looked like Antonio Banderas and Elvis Presley!! Yes, you are right. the complete title is I Can’t Help Falling in Love with You. I know you have wide music repertoire, as i see at Atlanta’s Arts…..
Hmmmm. Have you phoned Proscilla? Ahh, look at the resemblance and how fun! I’ve been an Elvis fan since I saw him in concert when I was in my teens, with my older sister. He’s the King! Fun post, Hilal! I remembered seeing a guy who had an identical birth mark on the face as me (same size, and place). We just stared at each other. It was intimidating. That’s a good one. So this guy must have been my better side.